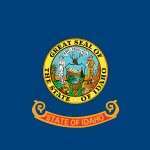 Idaho Poker – Is Online Poker Legal in Idaho? Let’s get one thing out of the way – poker players are out of luck here. Idaho is just not in an ideal position to do anything for the poker playing residents at the current moment. Idaho is one of the few states where poker – in ANY capacity – is illegal. But even general gaming enthusiasts have had it rough. Back in the 1990’s when the Indian tribes were planning to build their casinos, the state pushed them into only offering bingo. Not long after they were allowed to offer pull-tabs. Today there are more options. But there’s no doubt that poker players have gotten the short end of the stick. And things aren’t looking better for them heading into the future. Right now there are no laws specifically calling out online poker (or any form of internet gambling). It doesn’t look like the state has plans to change their minds any time soon, either. In fact, lawmakers (and likely Indian tribes, too) are concerned about how it might impact the brick and mortar casinos. So any plans to allow online poker will do so only with them in mind. The bottom line – I wouldn’t hold your breath. Not for legal gaming anyway. Now… you could play online at an offshore site. There are plenty of options that take players from Idaho. You’ll be able to play tournaments, cash games and sit and go’s. You’ll also have plenty of game options and numerous table stakes. But again – just realize it’s not legal (although we’ve not heard of anyone from the state being arrested for playing). In fact, you’re not going to find any “traditional” casinos in Idaho. Things are better than they used to be – I will say that. Back in the 90’s all these types of casinos could offer was bingo and pull-tabs. Today you have a few more options. There are more than 10 casinos and pari-mutuel establishments in the state. They give you the choice of playing bingo, video gaming machines (consisting of options like blackjack, slots, keno and progressives) and betting on horses. The biggest casino to check out would be the Coeur d’Alene Resort. There’s more than 60,000 feet of gaming space and they boast of 1,000+ jackpot winners every week. There’s the Clearwater River Casino and Lodge, too. They have more than 600 games to play. And if that’s what you’re aching for you might considering making the hop, skip and (short) drive to Las Vegas. You’ll obviously get all the action you can handle there. Yes – even home (or social) poker games are illegal. This is interesting because this is usually one option states allow. In fact, I read a story from 2010 where police raided a small game being played by a group of senior citizens. Prosecutors didn’t want to charge the men, but the state told them they had to. Later the state conceded and the seniors weren’t charged with any crimes. And prosecutors were given the option from that point forward to decide who they charged with (poker-related) crimes and who not to. But hopefully you can see how serious the state takes their gaming laws. That said… chances are you can get away with a home game if you keep quiet about it. Just keep it between you and your buddies. Just know that you won’t be doing so legally. That goes for charitable (poker) games, too – 100% illegal. There are definitely no exceptions here. Honestly… the future doesn’t look too bright. According to other web portals we shouldn’t expect to see any changes from Idaho until 2018-2019. I think that might be optimistic. It just doesn’t sound like the state is eager to get into online gaming. And, even if they do, it’ll be slow-going. It sounds like they’re more concerned with tapping into and expanding their own brick and mortar casinos. Anything that interferes with that is unlikely to see the light of day. So… I think I agree with Vito Berbiera – he just doesn’t think legal and regulated online gaming is a possibility in this day and age. Not with the current political environment, at least.